Link4 is a design company that fosters Local Innovation and Development through product design, capacity building and cross-learning experiences across the corporate, international development and educational sectors. We can all be Designers, and we all should. Link4 helps organizations become more innovative by empowering and activating the creative potential within us all. Diversity is key. Link4 creates spaces for non traditional relationships through multicultural, multisectoral and multidisciplinary exchange that fosters creativity, collaboration and develops empathy- the most essential skill in design. Complex challenges are best solved collaboratively. Link4 helps to transform the way people interact and work together so everyone is engaged, included, while much better results are achieved. Working with rather than just working for. Link4 partners, in every project/program with key stakeholders to generate value by co-creating products, services and experiences that empower communities, businesses and students. Local Innovation is best. Link4 recognizes the importance of international development and aid but also understands the need for local actors from the public, social, business and academic sectors to be connected and be responsible the development of impactful projects that promote sustainable development from a local perspective. We believe they all need to be Linked by Design. Design Education for all. Link4 works to make design education accessible to everyone. From private sector to rural communities - design education for all! Link 4 is a partner of MIT’s International Development Innovation Network. Link4 brings a range of skills, and business, product and service design expertise to create successful interactions and physical products. Our multidisciplinary team works very closely with users and all stakeholders to co-create, test, implement and commercialize solutions that improve the lives of people living in vulnerable conditions. These type of stoves force the gases and smoke that result from incomplete combustion of biomass fuels back into the cookstove's flame, until almost complete combustion has occurred, resulting in very few if any emissions. Gasifier stoves are also known as Top Lit Updraft (TLUD) stoves because some fuel is lit from the top of the stove, which forces combustible gases to pass through the flame. Gasifier stoves can also include a fan, to improve mixing of flame, gas, and smoke and to reduce emissions. We believe design, as a tool for change, should be accessible to everyone. Design empowers people, awakens our human creative potential, makes us more emphatic, analytic and turns us into active agents able to invent, innovate and inspire each other to create new solutions that allow us to improve our surroundings, whatever those are. So, from the biggest company to rural communities we want Design education for all. Parallel, Link4 aims to educate and connect people to important global issues, and to provide tangible linkages between technical knowledge and its application to create positive social impact in the real world. So our experiential design programs focus both on fostering local innovation within our partner communities around beautiful Lake Atitlán and on empowering teams, strengthening their creative capacity and transforming their ability to work together, as they experience the co-creative design process in a community working together towards sustainability. Link4 is multidisciplinary. Based in Guatemala City. Industrial designer, Master of Interior design by the Istituto Europeo di Design, Madrid. 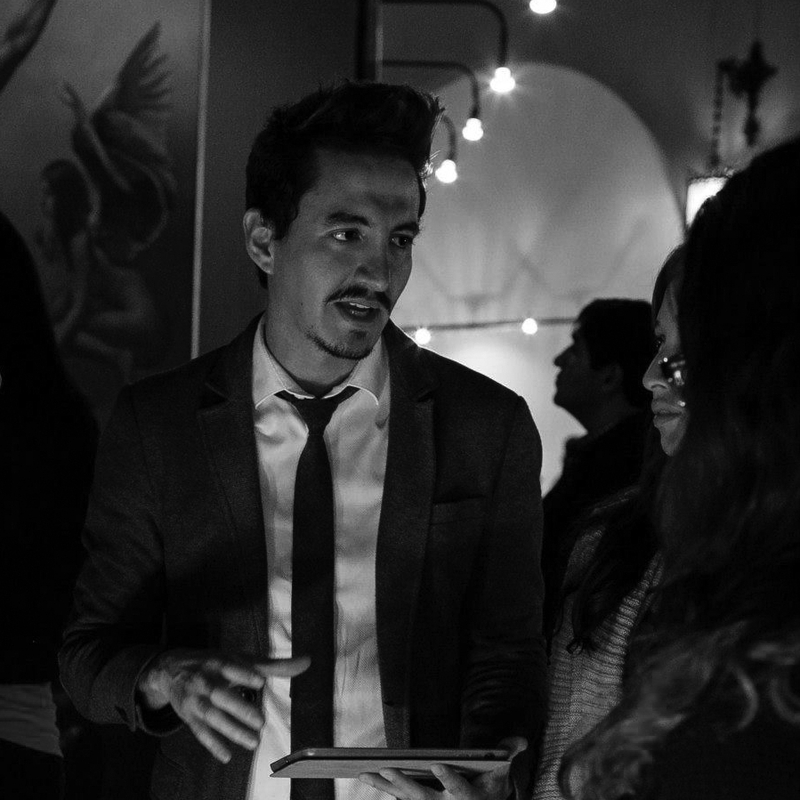 He is a product design and social innovation consultant. 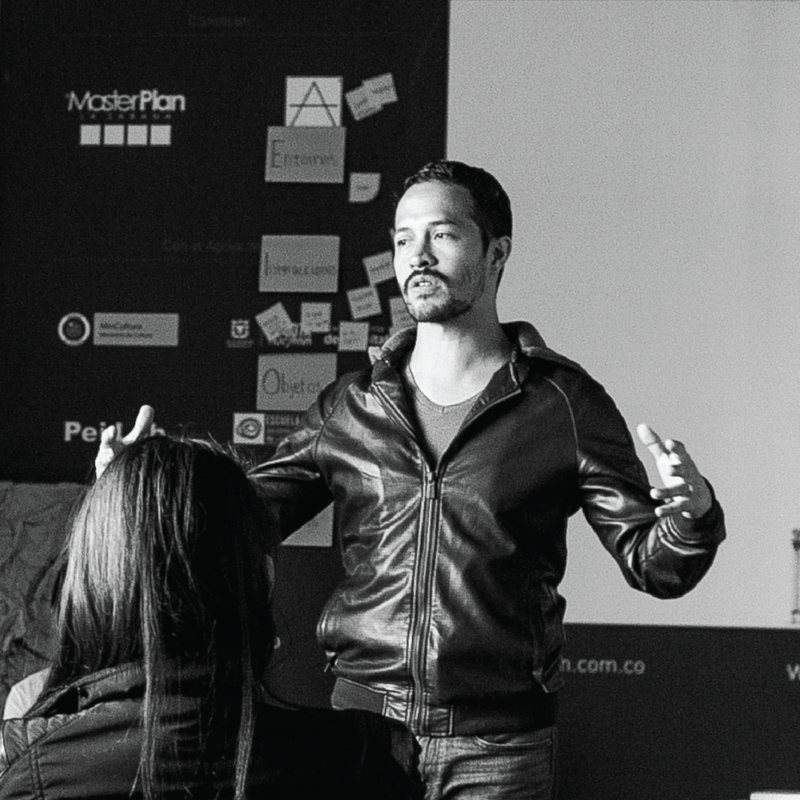 Since 5+ years he is a professor of product design and social innovation in Rafael Landívar University and Universidad del Valle de Guatemala. Member of the International Development and Innovation Network (IDIN) since 2012. Alum of MIT’s International Development Design Summit (IDDS) 2007 - MIT, 2012 - Sao Paulo, Brazil. He was a Design Facilitator in IDDS Zero Waste, 2015 - Cali, Colombia and again in IDDS Education, 2016 - Bogotá Colombia. In 2017 he was Lead Organizer of IDDS Sustainable Homes in Guatemala. Currently, Omar is also a curriculum design consultant for Universidad del Valle de Guatemala. Experience in product design and design for development. Worked for Norsk Form, the Norwegian Foundation for Design and Architecture in 2008 - 2009. While being coordinator of the Industrial Design Program at INDIS, the Research Institute for Design at Universidad Rafael Landívar, worked for Design without Borders as project manager in Guatemala. Has been teaching as design professor since 2010. Part of the International Development Innovation Network - IDIN - since 2014, when he first participated at the International Development Design Summit - IDDS - in Arusha, Tanzania.